Fans of the Slave Dwelling Project are beginning to take advantage of its benefits. 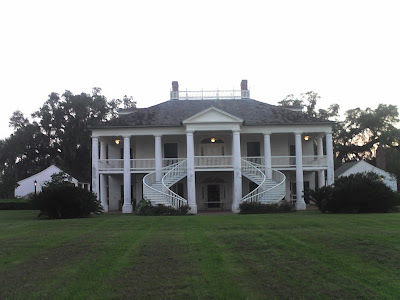 Such was the case when I stayed at Evergreen Plantation in Edgard, Louisiana. My purpose for traveling to Louisiana was to participate in the Louisiana Statewide Preservation Conference held by the Louisiana Trust for Historic Preservation in Leesville April 6 – 8, 2011. I arrived at the New Orleans airport and was picked up by Jane Boddie the Director of Evergreen. My first night stay at Evergreen would be in one of the houses with modern conveniences. The Avenue of Oaks was the most impressive that I had ever seen. I was even more impressed by the 22 slave dwellings still at the site. Unfortunately an oak tree had fallen on one of the dwellings but my mind was put at ease when Jane told me that the dwelling will be restored. 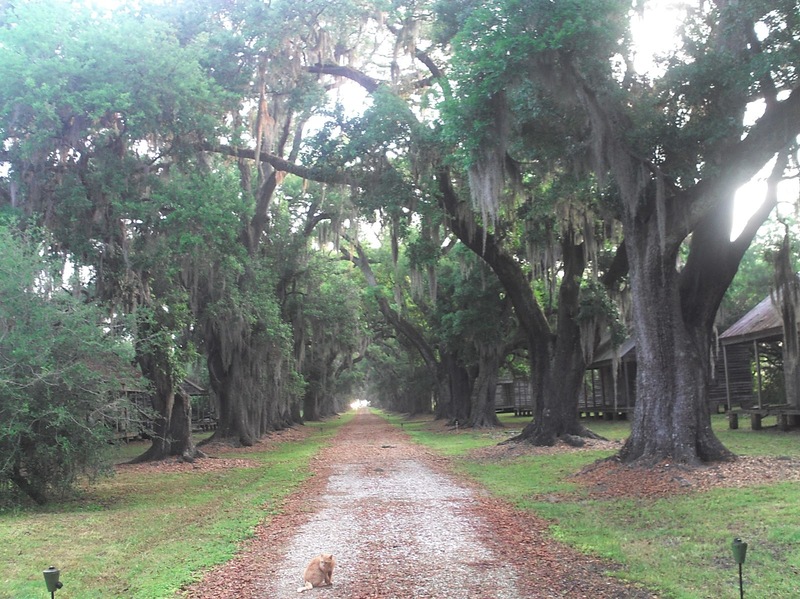 Twenty-two slave dwellings line Avenue of Oaks on Evergreen Plantation. While I was anxious to spend the night in one of the dwellings, I could not neglect the purpose for which I came to Louisiana, to participle in the Louisiana Statewide Preservation Conference. The next day Jane and I traversed the state to get to Leesville. We would return on Friday, April 8, I would stay in the slave dwelling that night. Before my stay at Evergreen, the most people to share the experience with me in a slave dwelling was five the weeks before in Texas. Jane did a spectacular job in ensuring that we would surpass that. Twenty people were scheduled to spend the night in the dwellings. They came from New Orleans, Baton Rouge and all points in between. 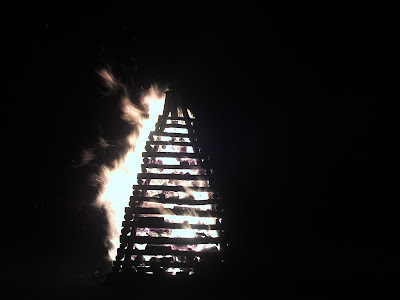 The night started with a bonfire in the front yard of the big house, a spectacular site, and my first time to participate in such an event. The gathering continued with storytelling and ended with drumming. We all proceeded to the two dwellings as a group. A libation ceremony was conducted in front of one of the dwellings followed by listening to recorded excerpts from the Slave Narratives. On my way back to the cabin where I was going to sleep, I and two other guests encountered a member of the local law enforcement agency. He was unaware of the activities that were happening that night. Fortunately, he accepted our explanation. I made it to my assigned spot and slept through the night with only a few interruptions by mosquitoes. 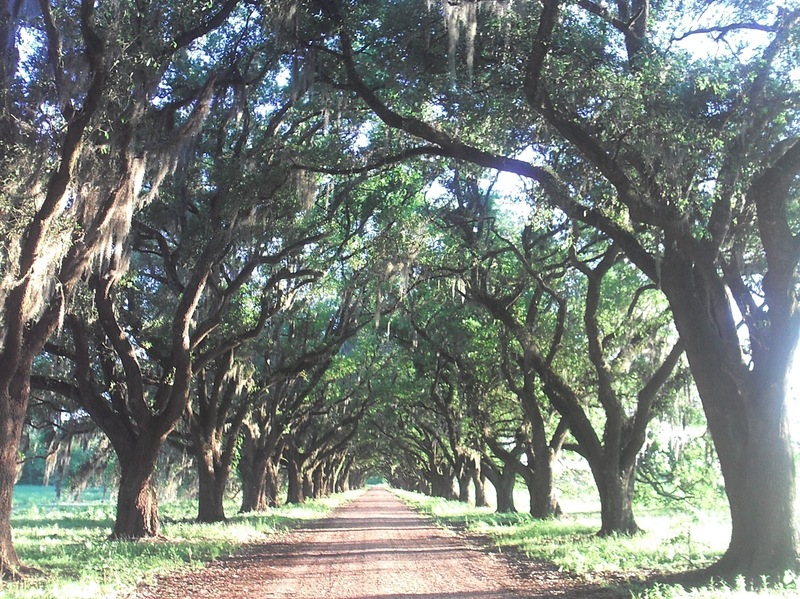 "On April 11, 2011, I stood with Joe McGill and 20 other people preparing to walk down a white shell road through 100 very old Live Oak trees. We were walking into an empty village, a village that was home to people for 200 years, ten generations. It was dark, the wind had blown out our candles. 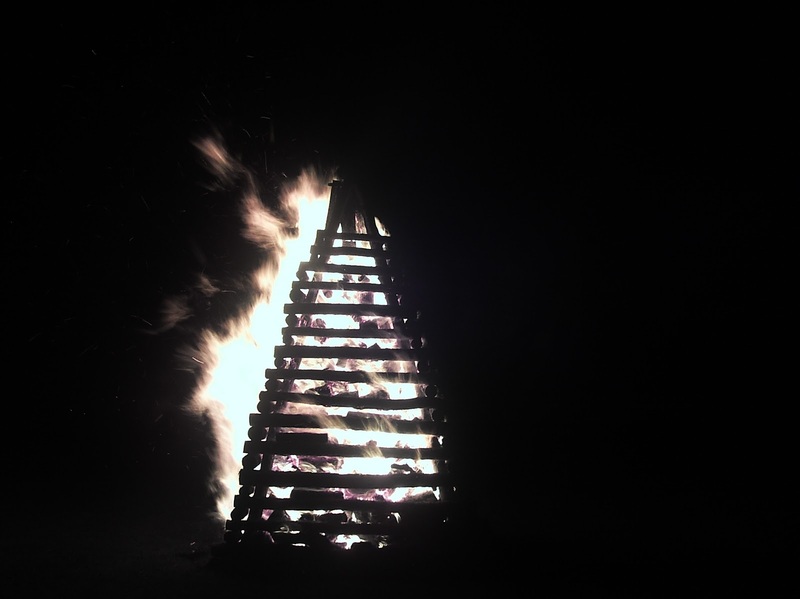 It was silent, so were we. Later, I sat on the steps of one of the slave cabins, listening to the Litany of the Libation to the Ancestors. I sat a little apart from the rest, wondering where I fit in all this. I am white. Then I began to hear the words of the Libation, over and over again; the Ancestors of all the people of Evergreen Plantation; the Ancestors of ALL the people of Evergreen Plantation, past and present. In the night, lying on that hard floor, listening to the night sounds, looking up at the ceiling, I was aware of a profound sense of community. What had happened to the other people who had lain here, looking at this ceiling, are a part of me. Without that ceiling, without these buildings, if they had all been destroyed, it would be hard to know where any of us fit, to remember who we are. We are a community of people. Past. Present. Future." “I fear cycles of the night and things I don’t understand. Like the snake I startled hunting at dusk, blood-sucking mosquitoes satiated by mid-evening and then returning at first light, and the sounds chirping, howling and rustling through the woods, all here before us. Kathe brought recordings of haunting slave narratives from another century. We brought our voices, but our words were inadequate. We agreed to be quiet. A cacophony of waif-like female voices cackled from the big house. Breathlessly still, I strained to discover if they were ghosts. Sweating through one hot night, I was not free until dawn"
Louisiana was the fourth state to which the Slave Dwelling Project has been expanded. This stay afforded me the opportunity to explore how the Spanish, French and English influenced slavery in Louisiana. It was also a lesson in how the Mighty Mississippi River factored into the institution of slavery. In the case of Louisiana, sugar cane was a very labor intensive crop. The slaves that contributed to that industry have a story that should be told. One can say that the reason that the 22 slave dwellings at Evergreen are still with us is because they were built of cypress wood. I attribute their existence to the fact that someone in their past made the conscience decision to preserve the dwellings so that the stories of their inhabitants will not be forgotten. I can recall having the privilege to cruise the Mississippi River on the steamboat Delta Queen before it was decommissioned. We docked at one of the plantations on the famous River Road, unfortunately that presentation lacked any interpretation of the people who labored to make that plantation prosper. I strongly encourage a visit to Evergreen Plantation if you are interested in hearing the whole story. Jane Boddie and her staff will be happy to accommodate you. They may even throw in a bonus and tell you about the night they spent in one of the slave dwellings.